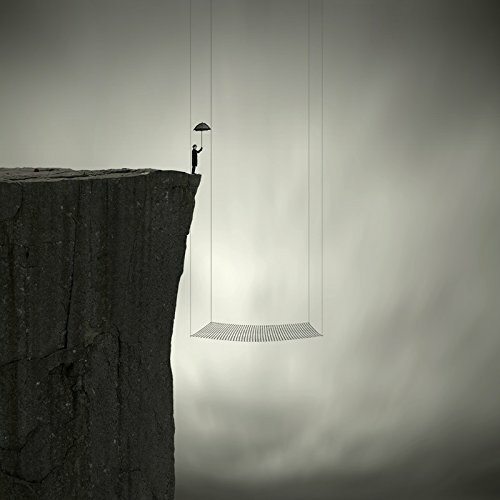 Learning to Fly by Philip McKay fuses the timeless elegance of black and white photography with the bold drama of Surrealist art. This whimsical piece depicts a man about to venture off a cliff and into a safety net. This piece exudes a delicate balance o This is a ready-to-hang canvas print with 100 year archival pigmented ink on museum-quality canvas. Actual dimensions may vary slightly from listed dimensions to preserve original proportions.